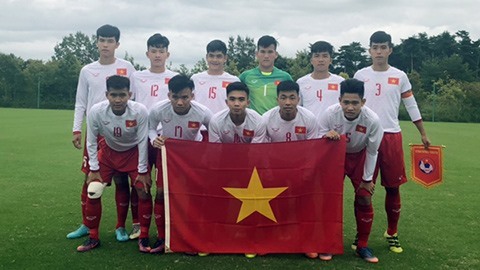 Việt Nam’s U17 boy’s football team finished fourth after losing to Thailand in a penalty shoot-out in the U17 Jenesys 2018 international tournament, which ended in Japan on Monday. With the physical strength advantage, Thailand opened the scoring in the 25th minute. Never backing down, Việt Nam equalised four minutes from time through Bùi Tiến Sinh. In the shoot-out, the Thais won six to five. “This is a useful chance for players to prepare for the 2019 AFF U18 Youth Championship and the qualifying round of the 2020 AFC U19 Championship,” said head coach Đinh Thế Nam. Hosts Japan won the tounrament, defeating U17 Shoshi High School in the final.